This is a class designed for the active older adult designed to enhance each individuals quality of life and daily function. 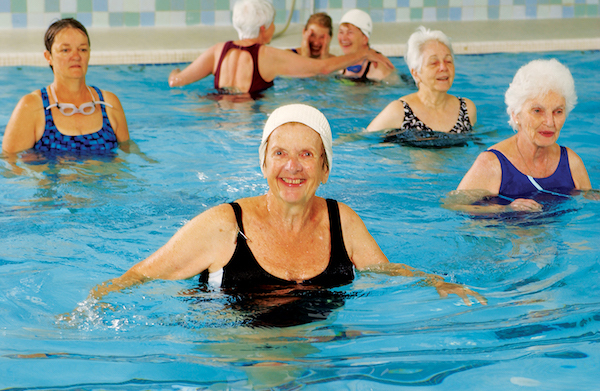 Silver Splash utilizes the physical properties of water to enhance agility, range of motion, and cardiovascular conditioning. No swimming ability is required, but strongly encouraged. This class is free to Silver Sneaker members and not included in unlimited classes however, open to all at regular class prices. 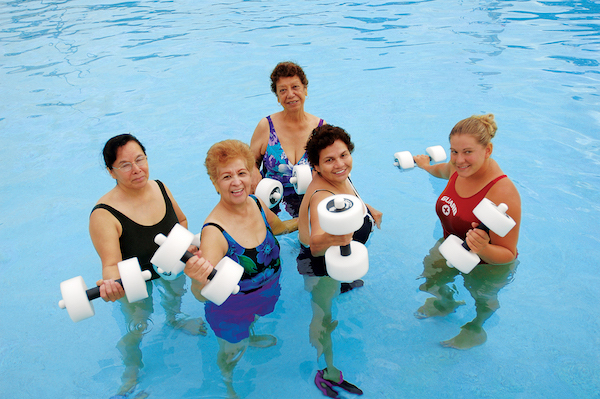 High energy, very aerobic class in the deep water using water flotation and resistance equipment. 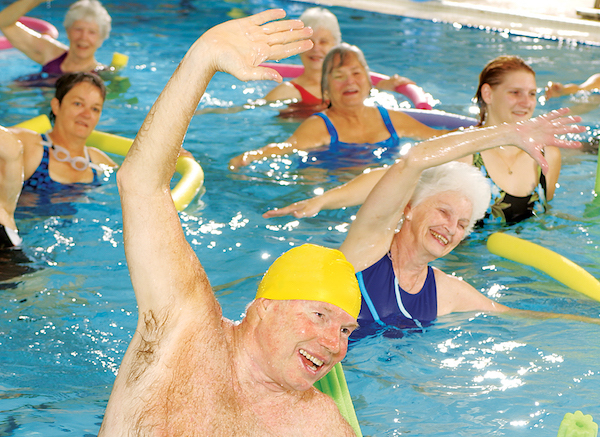 A shallow water exercise program proven to help you live better with arthritis. Suitable for every fitness level. Reduce pain and stiffness while increasing strength, flexibility and endurance. A low to medium impact shallow and deep water class. Promotes joint flexibility, range of motion and agility while building cardiovascular endurance and muscular strength. Refunds/make-ups will not be issued for missed classes. Credits will be issued if half of the current session is missed due to illness. A doctor’s note, verifying dates unable to attend, must accompany the request. One make up lesson will be allowed during each session based on the instructor’s availability. Lesson must be made up during the current session. 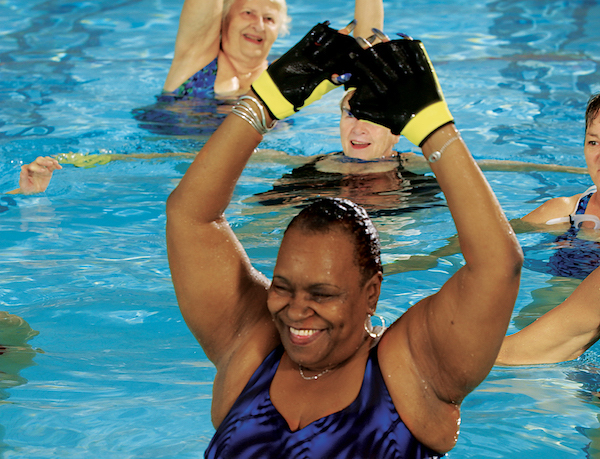 Members registered for an individual water exercise class may attend the same class on another day that week. Make-up lessons will be offered for weather, maintenance, and emergency related closings. The Aquatics Department will provide a schedule to parents with dates and times for make-up classes. Credits will not be issued if you do not attend the make-up class.